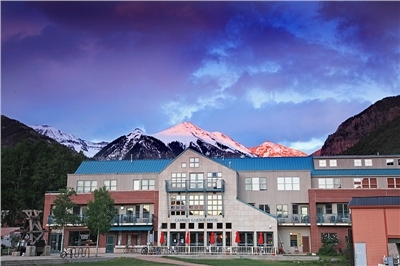 Located in one of the most spectacular mountain settings anywhere, Telluride offers the perfect vacation for any season. 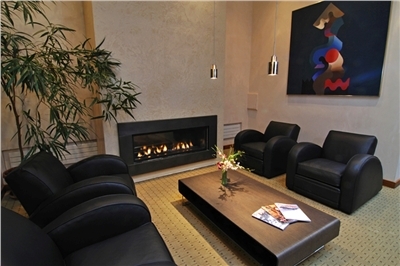 Named after one of the region's historical sites, the Camel's Garden Hotel is ideally situated on the San Miguel River yet only two blocks from the Main Street shops and restaurants and is adjacent to the Gondola, which provides a link between the Town of Telluride and the Mountain Village. The Camel’s Garden is a contemporary Resort Hotel situated on the San Miguel River and adjacent to the gondola to the ski area. The Camels Garden is ski in ski out at the base of the Gondola and Lift 8 and offers thirty luxurious rooms and suites as well as six condominiums with balconies, fireplaces, custom-crafted furniture, Italian marble bathrooms and oversized tubs provide a feeling of comfort and ultimate indulgence. 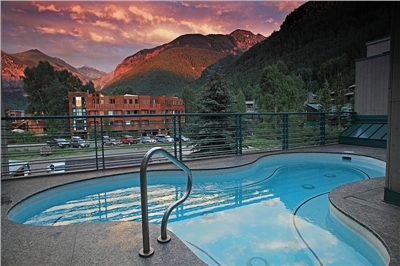 Relax in their steam room or enjoy the year-round beauty of the San Juan Mountains — fall’s golden colors, alpenglow on snow-capped peaks, and summer rainbows — all from the 25-foot outdoor hot tub. General	| Smoking is not allowed in the Hotel in any Rooms. 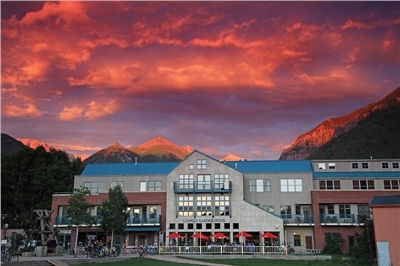 Cancellation	| Please see Telluride Reservations Center cancellation policy. 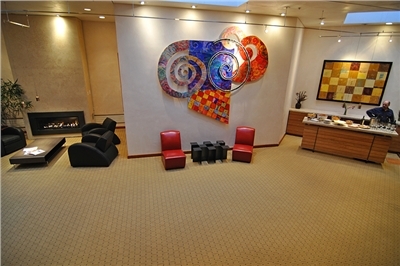 Deposit	| 1 nights at time of booking, balance due 30days prior to arrival. Check In	| Check-in time is at 3.00 pm. Check Out	| Check-out time is 10.00 am during the winter season and 11.00 am during the summer season.